On the 16th of January 1900, Edith Frank (née Holländer; d. 6 January 1945) was born into a German Jewish family in Aachen. 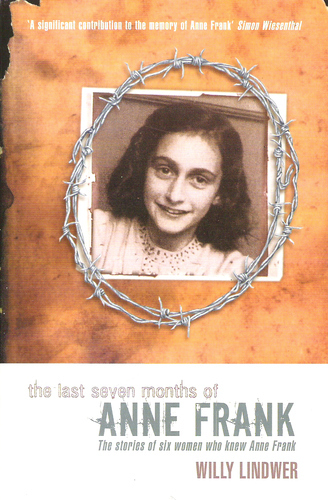 She is known as the mother of honoured Holocaust child diarist Anne Frank. When her survivor husband Otto Frank decided to edit his daughter’s diary for publication at the end of the war, he took the liberty of cutting some of his daughter’s more heated comments out of respect for his wife, whom she had a strained relationship with. Anne’s often resentful portrayal of an unsympathetic and sarcastic mother did however make it into most of the published versions of her diary. Her views were contradicted by the memories of those who had known Edith as a modest, reserved woman who tried to treat her teenage girls as her equals. Edith, one of four children by respected parents living in the Aachen Jewish community, met Otto Frank in 1924 and married him shortly after. Their first daughter, Margot, was born in Frankfurt in 1926, followed by Anne, three years later. In 1933, Anti-semitism and discrimination drove the family out of Germany to Amsterdam , where Otto established his business. When she was about Anne’s age, Edith had lost her sister to appendicitis. At the outbreak of WWII, her two brothers fled to the USA, while her mother Rosa joined them in Amsterdam. In 1940, the Nazis invaded the Netherlands and started persecuting the country’s Jews; Edith’s children were removed from their schools, and her husband had to save his business by signing it over to his Dutch colleagues, who ended up helping them hide from 1942, for two years, in a hidden annex at the back of the company premises. While a lot of these passages could be seen as an expression of teenage resentment and rebellion, later, as Anne revised her diary, she started regretting her harsh attitude towards her mother: “Anne, is it really you who mentioned hate, oh Anne, how could you?” This change of heart had a lot to do with her growing realisation that Edith’s behaviour was determined by a loveless marriage to her father. In 1999, the discovery of previously unknown pages taken out by Otto showed that Anne had realised that her mother loved her father very much and the latter was clearly devoted to her, but not in love with her – this caused Anne to develop a new sense of empathy for her mother’s situation. Melissa Müller wrote of “Otto’s lost love, whom he wasn’t rich enough to marry (…) his marriage of convenience to Anne’s mother, who was driven inward by Otto’s emotional inaccessibility. Miller sees in this expurgated passage “a record of Anne’s growing sympathy for her mother,” a sympathy her father intercepted in life and in death, but it seems rather a knowing anatomy of a marriage commonplace at that time, the sort of marriage girls like Anne vowed never to make.” (Rita Kimber, ‘Plaster Saint’, Anne Frank, the Biography by Melissa Müller; The Women’s Review of Books, Vol. 16, No. 8, May, 1999). By putting herself in her mother’s shoes, Anne saw that she had contributed unnecessarily to her suffering. She began treating her with more tolerance and respect, all the more necessary in the confined situation they were forced to live in and the terrible fate hanging over their heads. The real proof of Edith’s devotion to her children was yet to come. Following their discovery and deportation, the mother and her daughters were forever separated from Otto at their arrival in Auschwitz. A further selection separated Edith from Anne and Margot – Edith was selected for the gas chambers, and her daughters were to be transported to Bergen-Belsen. The latter never materialised as Margot fell ill with scabies, which eventually caused her death in the camp’s infirmary. Edith escaped with a friend to another section of the camp, where she remained through the winter. All this time she stopped eating, saving every morsel of food for her daughters and passing her rations to them through a hole she dug at the bottom of the infirmary wall. Bloeme Evers-Emden, an Auschwitz survivor interviewed by Willy Lindwer in The Last Seven Months of Anne Frank, observed that “they were always together, mother and daughters. It is certain that they gave each other a great deal of support. All the things a teenager might think of her mother were no longer of any significance.” Due to her selflessness, Edith died from starvation in January 1945, twenty days before the Red Army liberated Auschwitz and ten days before her forty-fifth birthday. This was incredibly interesting. Thank you for this post. Z”L. May her memory and the memory of those murdered be a blessing.